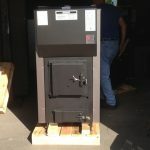 Currently, the only wood furnace on the market to be EPA Phase 2 certified! The New Vapor-Fire 100’s have even burned past the new 2020 standard by over 40%! 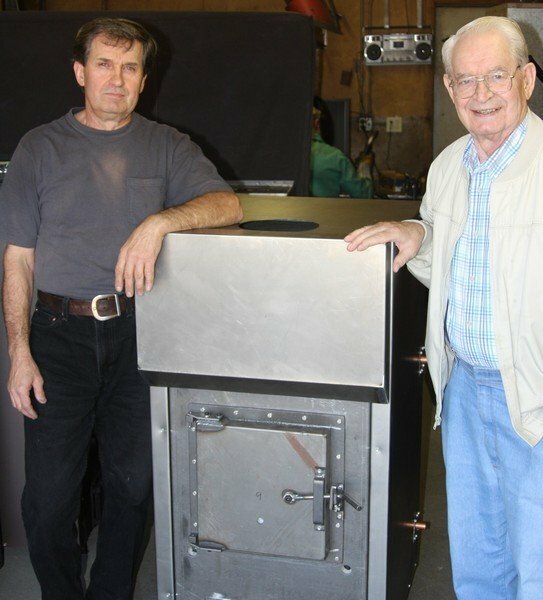 The virtually “smokeless” burning Kuuma furnaces extremely efficient, safe, easy-to-use, gentle on our environment and built to provide generations of reliable service. Join the Kuuma family and enjoy the best. 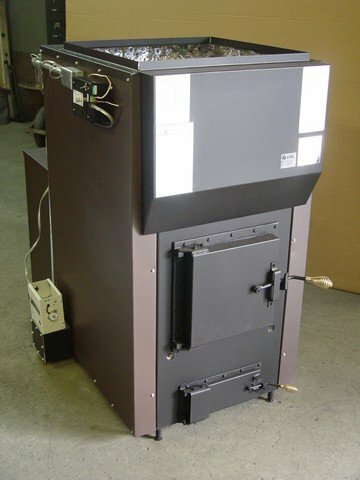 The EPA Phase 2 certified, Kuuma Vapor-Fire 100 is our largest Vapor-Fire wood burning furnace. The wood length is approximately 20″ and requires seasoned wood that has an 18-28% moisture content. It includes a powerful, yet quiet 2-speed blower that delivers 500 to 1500 CFM (cubic feet per minute) on demand, controlled by your household thermostat. 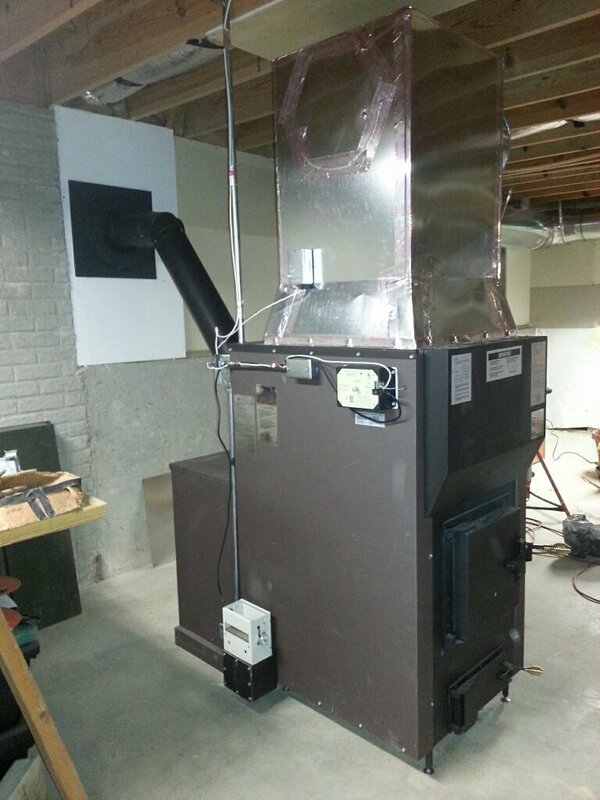 It can stand alone as a central furnace, or be used as an add-on to an existing oil, gas, or electric furnace. The bonnet opening is 2’x2′ and your heat duct outlet should provide 180-200 square inches to prevent excess back pressure on the blower system. The Vapor-Fire 100 delivers a clean, safe, and automatic front to back burn that delivers very even heat for 10-12 hours per load followed by many hours of coals. Even heat output results from the front to back burn principle in our Vapor-Fire wood burning furnace. It heats approximately 3500 square feet. (Not available for resale until EPA testing completion) The Kuuma Vapor-Fire 200 is an excellent choice for smaller homes, with a burn time of 7-9 hours. The Vapor-Fire 200 provides the same soothing wood heat while helping to cut your heating costs. Like its big brother (the VF-100), the 200 operates best with well seasoned wood with a moisture content of 18-28%, and will handle up to 16 inch wood. With it’s 450 CFM(cubic feet per minute) blower it quietly distributes soothing heat throughout your home. 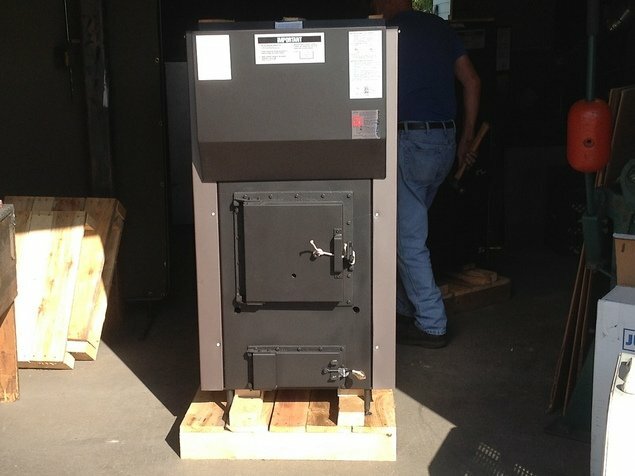 It is an excellent add-on to your existing oil, gas, or electric furnace. It has an 8″ round heat outlet. 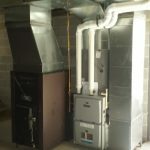 Some people have it stand alone in an area where no duct work or other furnace is available to connect into. It gives you a clean, safe, and automatic front to back burn that delivers very even heat for 7-9 hours per load followed by many hours of coals. Even heat results from the front to back burn principle in our Vapor-Fire wood burning furnaces. It heats approximately 3,000 square feet. The logs burn from the front to the back. Primary air ignites only the amount of wood that will combust with the available oxygen within the fire chamber. Electronic control precisely regulates the amount of preheated air admitted into the fire chamber. Because the gases and volatile liquids burn at approximately 1000 degrees Fahrenheit it is important that the secondary air is preheated before it is introduced into the secondary zone. The fire burns with a nice soft low flame resulting in a highly efficient burn for a long period of time. You don’t need a raging fire to produce a clean burn and useful heat. Our average is .093 lb/MMBtu, which is pretty impressive considering no catalytic converter is being used for combustion and the current 2015 EPA mandate for emissions is .93 lb/MMBtu (10 times better). 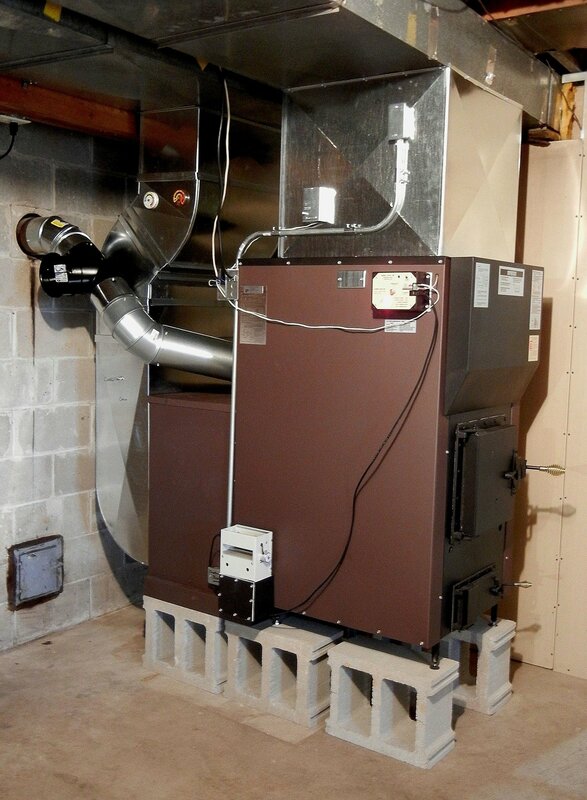 It’s the only warm air furnace that we are aware of which has exceeded 2020 EPA phase 2 emissions requirements. If you don’t meet these requirements you won’t be able to sell the furnace when the requirement goes into effect. EPA Phase 2 requirement is .15 (coming in 2020) all 4 burns need to be under the .15 and not just the average (very difficult)! 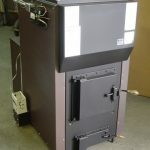 What is the impact on total wood consumption per year if you use a super efficient furnace like our Kuuma Vapor-Fire? Here are the important numbers that need to be examined: 1 gal. #2 fuel oil = 140,000 BTUs; 1 gal. propane – 91,500 BTU’s; 1 cord paper birch wood = 21 M BTU’s; 1 cord red oak = 25 M BTU’s. 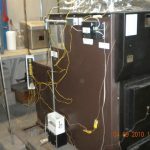 KuumaVapor-Fire furnaces were tested to have an overall efficiency as high as 85%, 99.4% combustion efficiency, less than 1 gr/hr of emissions, 99% “Smokeless” burn cycles, internal flue temperatures 285-400 degrees F., and external flue temperatures 150-250 degrees F. Kuuma Vapor-Fire furnaces have been used for over 25 years with no condensation issues whatsoever, because the flue temperatures are still high enough to support a natural draft system when installed according to our written directions. A good estimate for oil usage for a heating season would be 500-1,000 gal., with lots of variables. We’ll take a look at an average home using 750 gal. of oil for the heating season. 750 gal = 105 M BTU’s. If a wood furnace was 100% overall efficient, which is not possible, it would take : 105 M BTU’s /21M=5 cords of birch or 105 BTU’s/25M=4.2 cords of oak. Our KuumaVapor-Fire furnace at 82% average overall efficiency would be; 105 M BTU’s/(21Mx82%) = 6.09 cords of birch or 105 M BTU’s/(25 M x 82%) = 5.12 cords of oak. Most manufacturers struggle to hit 60% overall efficiency, but we’ll look at their results based on 60%. 105 M BTU’s/(21M x 60%) = 8.33 cords of birch or 105 M BTU’s/ (25M x 60%) = 7 cords of oak. 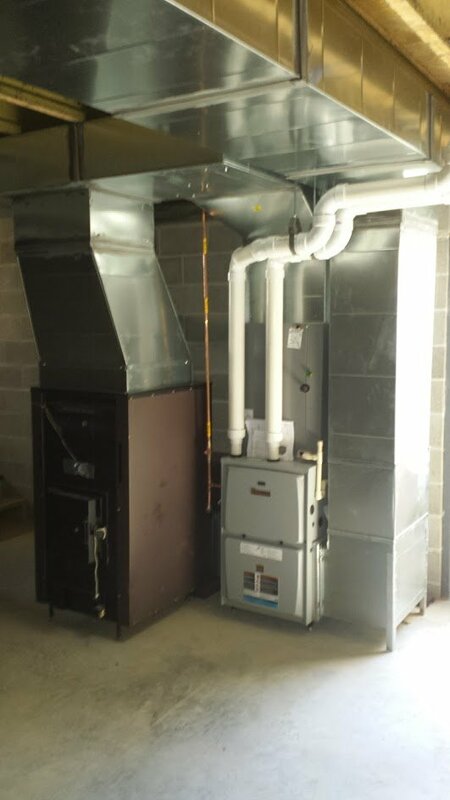 Therefore, using our efficient Vapor-Fire furnaces will, without a doubt, use less wood to deliver the same amount of BTU’s you’d require in oil or propane for the heating season then a less efficient furnace would. The other big advantages are minimal air pollution, longer more even burns, and minimal creosote accumulation from 99%”Smokeless” burn cycles. The safely aspect is also huge in saving homes and lives. I’m quite sure alot of manufacturers will be very surprised to see their furnace test results when regulations come into effect in 2013-14. They’re not going to believe how much air pollution and wasted wood their so called efficient furnaces have produced. Many manufacturers will have to fold or redesign their furnaces quickly. I’m thankful that I invested the time, effort and money in preliminary testing so that our company is prepared for the future. We knew the regulations were forthcoming. What I need to know about BTU ratings? 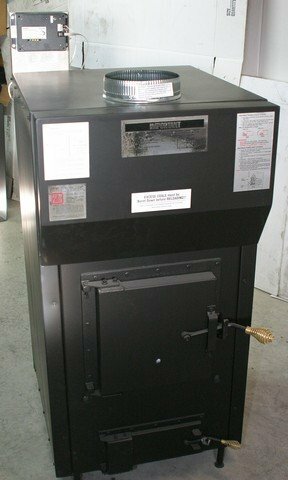 A lot of people are mixed up on the BTU’s required to heat a home because oil and gas furnaces do no run steady hour after hour. If they did you’d spend $20,000/yr. to heat a home. As it is some people are spending over $4000/yr. to heat their homes. They cycle on and off. Your BTU needs are delivered intermittently. If your home is poorly insulated, or if for some reason you let it cool down, your oil and gas furnace would then run steady. Generally, a furnacerated at 100,000 BTU/hr. runs from 1/4 to 1/3 of an hour on the coldest of MN. 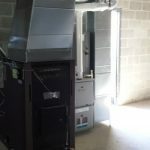 days delivering about 30 to 40,000 BTU’s/hr. to maintain a comfortable heat level for your home, i.e. 70 degrees F. Most people feel cool in their homes in between the on and off cycles of the oil and gas furnaces, therefore many people prefer wood heat because it’s continuous. 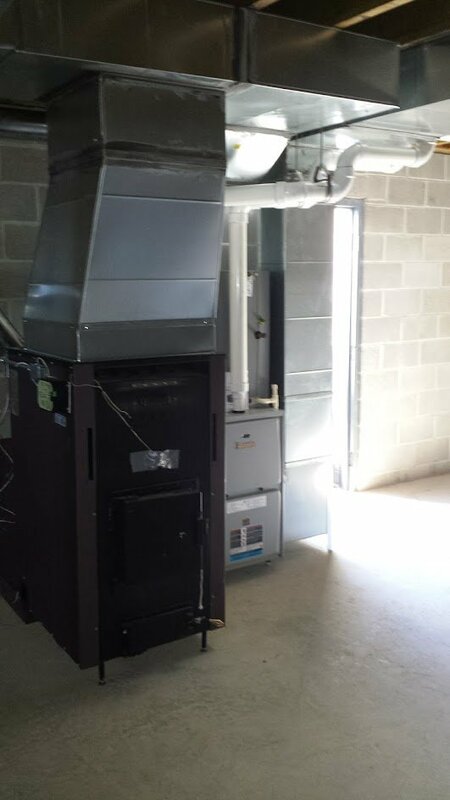 Now, heating a home with our KuumaVapor-Fire furnaces is really special because they deliver very even continuous heat hour after hour. They don’t smolder the wood and then blast the wood (the two extremes) like other wood furnaces. Instead, its unique automatic draft system avoids these extremes with a continuous front to back burn pattern that allows the user to adjust the burn rate, which in turn varies the BTU output. In mild weather you use a low setting for 15-25,000 BTU’s/hr., in moderate weather a medium setting for 25-45,000 BTU’s/hr., and in cold weather a high setting for 45-60,000 BTU’s / hr. It adjusts simply by turning the knob on the computer from low to high and anywhere in between. Most people never go above the medium setting all winter long. Keep in mind that all wood has the same # of BTU’s pound for pound. The heavier more dense wood (oak, hickory, maple) have more available BTU’s/piece than the lighter less dense wood such as poplar and pine, only because each piece weighs more. Every pound of wood that is 100% dry has approximately 8,600 BTU’s /pound. Say for instance your home needed 100,000 BTU’s/hr. to heat, it would take 11.6 pounds/hr. of 100% dry wood to heat it. Now, if your wood has a 20% moisture content, each pound of wood has only 6,880 BTU’s in it (it’s 8600 x .80). 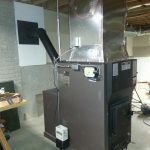 Then if your wood furnace is only 60% overall efficient, your BTU’s would only be 4,128 BTU’s/pound (that’s 6,880x.60). This would result in a ridiculous amount of wood, 24.2 pounds/hr., to get the needed 100,000 BTU’s/hr. In a 24 hr. period that would mean 576 pounds of wood needed for 100,000 BTU’s/hr after hr. This would result in probably more than 20 cords of wood to heat your home for one winter. It makes more sense to say that most homes in the coldest of weather only use the 30-40,000 BTU’s/hr and probably use 7-10 cords of wood/season to heat their homes. With our KuumaVapor-Fire furnaces that are 85% overall efficient and 99% combustion efficient most people use only 3-5 cords of wood to heat their home/season and that’s what makes our furnace very special. To top if off we also have the clean burn of less than 1 gr. emissions/hr. Does the Kuuma Vapor-Fire 100 have an automatic damper? Yes, a 24 volt computer controls a 24 volt (step) motor for your primary intake air used in combustion. Does the Kuuma Vapor-Fire 100 have a secondary chamber for the wood gases to burn? Yes, right in and around the top of the fire chamber gasification takes place, in a ceramic lined area with secondary air present. Does the automatic damper operate by a remote thermostat? No, the adjustment is right on the computer itself. You just turn the knob to adjust (mild weather=lower and cold weather=higher). It makes it simple to operate. 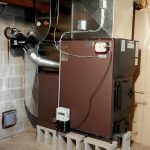 What type of a blower system is used to deliver heat? It has a two speed blower that is controlled by a remote thermostat. The blower system is activated by the low limit button thermostat that adjusts 90-130 degrees F. for the on temperature. Once it activates, your remote thermostat will determine if it needs high speed (calling for more heat) or low speed (room temp is satisfied.) The high speed is approximately 1500 cfm and the low speed is approximately 500 cfm, depending on the system back pressure. Therefore, the computer setting and the 2 speed blower help you to maintain your desired level of heat. Is the fire box brick lined? Yes, it’s not only brick lined right to the ceiling, but ceramic lined behind the brick. All the internal parts are stainless steel and replaceable (ceiling, back, brick holders & straps, front). It’s a life time furnace design. What is the size bonnet is needed? The opening for the bonnet is 2’x2′ & 2’x2′ for the return air. The bonnet height should be approximately 2 feet. Your heat output duct should be at least 180-200 square inches to prevent excessive back pressure. What is the size filter does it take? It takes two 14x24x1 filters. Will the furnace heat during power outages? Yes, when the power stops the blower and computer both shut down. 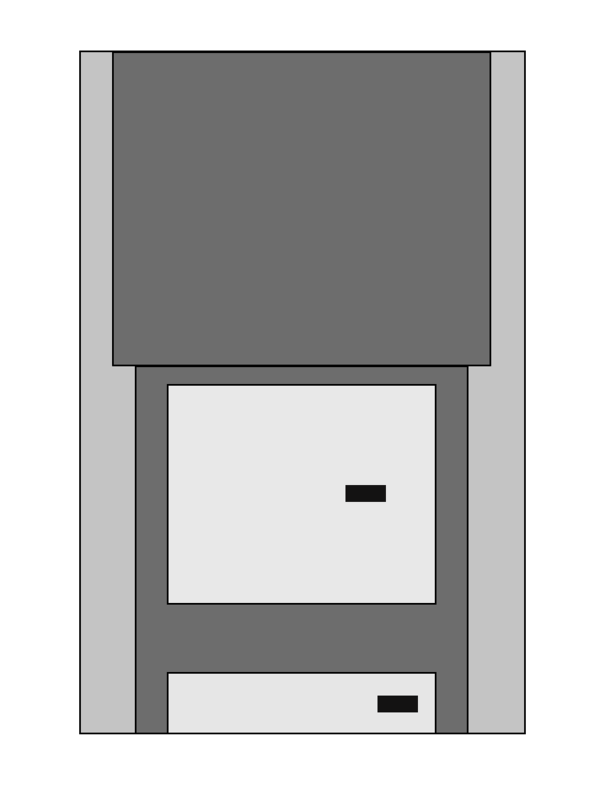 The computer closes to its pilot air opening, causing the fire to slowly die down. You should open all heat ducts, remove the air filters, and rely on gravity air flow then. The front lift off hood can also be removed easily to allow additional heat to escape from the air jacket during power outages. A back-up generator or a 24 volt ac source would be handy. What length of wood is best and how large a diameter should they be before they should be split? The best length is 20″. If they’re smaller pieces (4″ or less in diameter) they can be left round or un-split, but if they’re larger they need to be split so they will dry better (5-8″ in diameter). It has an insulated air jacket for 6″ clearances. Low flue temperatures and very complete combustion add to safety. 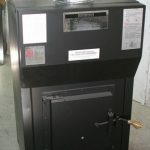 The 24 volt computer is set to keep the fire from under burning (causing creosote) or over burning (causing fire chamber damage). The 24 volt computer has an alarm that goes off if the furnace ever over heats (ashpan or main door left ajar). It has a high limit bonnet sensor that causes the blower high speed to activate irregardless of your remote thermostat and will also shut the computer off if the temperature continues to rise to 250 degrees F.
What size home will it heat? It will heat approximately 3,500 square feet. If the home is properly insulated. How does the burning of fire wood compare to other fuel costs? What is the white exhaust you see coming from your chimney? The exhaust you see when the temperature is 32 degrees F. or less, is actually water vapor condensing to form steam. The two byproducts of complete combustion are water vapor and carbon dioxide. If the outside temperature is above 32 degrees F., no visible exhaust occurs when complete combustion is taking place. How often do I clean the furnace? Once a year I use a rake that comes with the furnace to scrape out the heat exchanger. I proceed to vacuum through the clean out cover. Finally, I take the pipes off the back and blow them out outside. I’ve run this furnace for 28 years and never clean out the chimney as a matter of fact I don’t even own a chimney brush (NO SMOKE=NO CREOSOTE). 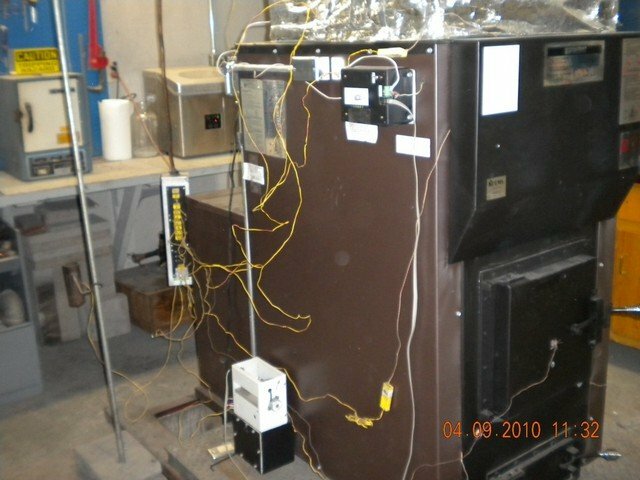 KuumaVapor-Fire furnaces were tested to have an overall efficiency as high as 85%, 99.4% combustion efficiency, less than 1 gr/hr of emissions, 99% “Smokeless” burn cycles, internal flue temperatures 285-400 degrees F., and external flue temperatures 150-250 degrees F. Kuuma Vapor-Fire furnaceshave been used for over 25 years with no condensation issues whatsoever, because the flue temperatures are still high enough to support a natural draft system when installed according to our written directions. Therefore, using our efficient Vapor-Fire furnaces will, without a doubt, use less wood to deliver the same amount of BTU’s you’d require in oil or propane for the heating season then a less efficient furnace would. The other big advantages are minimal air pollution, longer more even burns, and minimal creosote accumulation from 99%“Smokeless” burn cycles. The safely aspect is also huge in saving homes and lives. Read what our satisfied customers have to say.